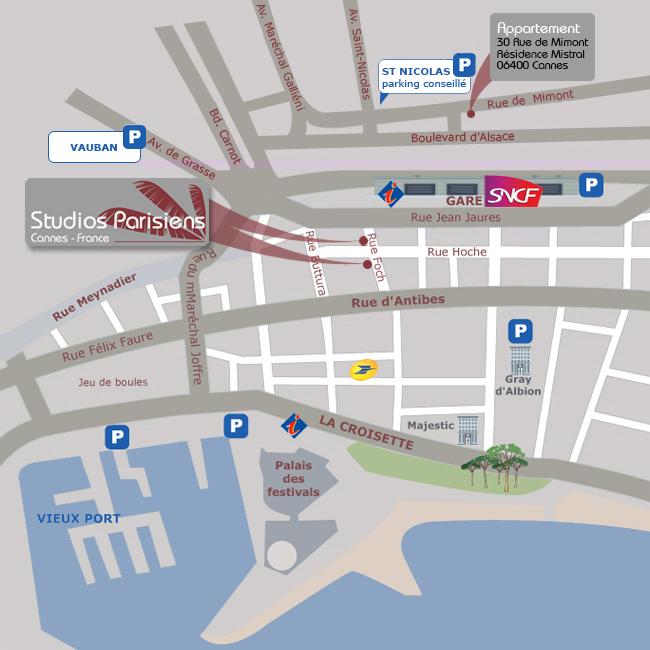 Coming from Marseille or Italy, take the A8, exit 42”Cannes Centre”, take the Boulevard Carnot, following the signs for the railways station “gare SNCF”. Nice Cote d’Azur Airport from 25km by taxi or direct bus (shuttle every 30 minutes). 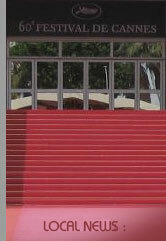 Cannes is 5 hours from Paris by TGV train. The residence is 2 minutes walking across the railway station SNCF.